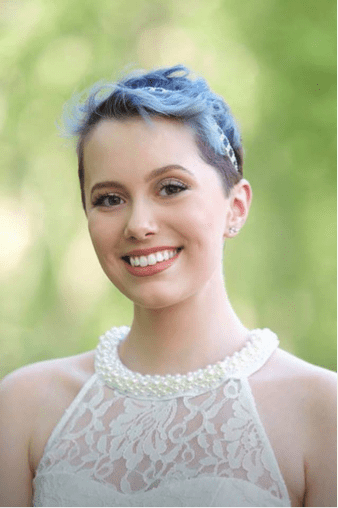 In January 2016 at the age of 15, Molly was diagnosed with Ewing’s sarcoma, a rare form of bone cancer. This kind and beautiful teenager had previously focused her days on her passion for figure skating. That had to be put on hold as she began a rigorous treatment schedule full of chemotherapy, radiation and multiple surgeries. Before Molly’s diagnosis, her mother, Nukhet, stayed at home and cared for her three younger siblings. Molly’s father had a full-time job and also worked freelance jobs as an extra source of income. With her diagnosis came many blows to the family’s finances. Molly’s treatment often consisted of extended inpatient hospital stays, during which Nukhet stayed by her daughter’s side. The three younger children were placed in an after-school childcare program and weeklong camps during the summer. Molly’s father also quit working extra hours so he could look after them whenever possible. This loss of income, plus the added expenses associated with driving to Boston for treatment every day, parking and extra meals quickly began to consume the family. Molly has been cancer-free since September! Through the support of our Family Reach community, we were able to step in and provide assistance that covered two months of the family’s mortgage payments in addition to gas and groceries. This allowed the family to catch up on their other expenses and focus their energy on Molly’s treatment. Molly has been officially cancer-free since September 2016! She was able to attend her junior year of high school and started skating again. Molly’s perseverance even allowed her to perform in her club’s annual spring skating show. She is ecstatic to begin her senior year of high school in the fall. For $15 a month, you can help families like Molly’s stay afloat while they fight cancer. Click here to learn how.